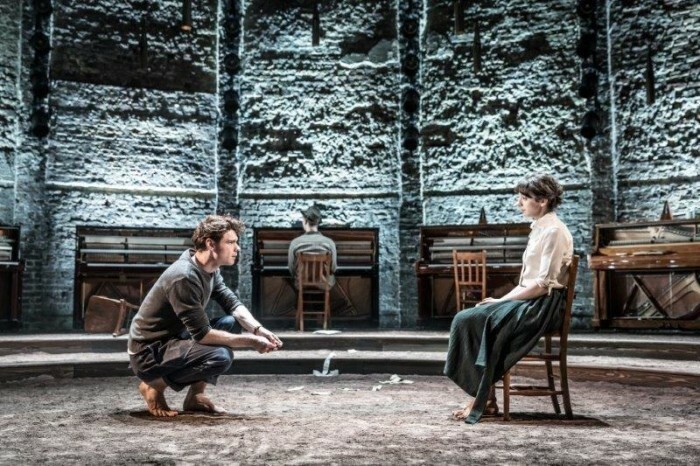 The Almeida Theatre’s on a roll of West End transfers. Their critically acclaimed production of Tennessee Williams’ rarely staged classic Summer And Smoke, which left audiences and critics reeling at the North London venue earlier this year, will open again at the Duke of York’s Theatre in November. And even better, the full cast of Summer And Smoke is coming with it, including Patsy Ferran (Critics’ Circle Theatre Award-winner for Most Promising Newcomer in 2014), Seb Carrington (other recent credits including The Crown), Nancy Crane (Against, Almeida), Eric MacLennan (The Night Manager), Forbes Masson (Big Fish, The Other Palace), Matthew Needham (The Twilight Zone, Almeida), Tok Stephen (Boudica, Shakespeare’s Globe), and Anjana Vasan (King Lear, Shakespeare’s Globe). The show’s intoxicating tale follows a girl who seeks salvation in a life of obligation. In the oppressive heat of summer, and under the wings of an angel, Alma (played by Ferran) meets John (Needham). But instead of finding comfort, Alma’s life is turned upside down, and she finds herself trapped between desire and fear. The West End transfer will play at the Duke of York’s Theatre from 10 November 2018 – 19 January 2019, with tickets available from Wednesday 13 June. The transfer is produced by the Almeida Theatre and Sonia Friedman Productions. Take a look at Summer And Smoke in rehearsal here.